Now we've had lunch and moved on to the WUNR site, 750 Saw Mill Brook Parkway in Oak Hill, Newton. In addition to the transmitter, this building used to house the station's studios back when it was WBOS; I didn't take any pictures of what remained, and a few months later it ended up in a landfill. 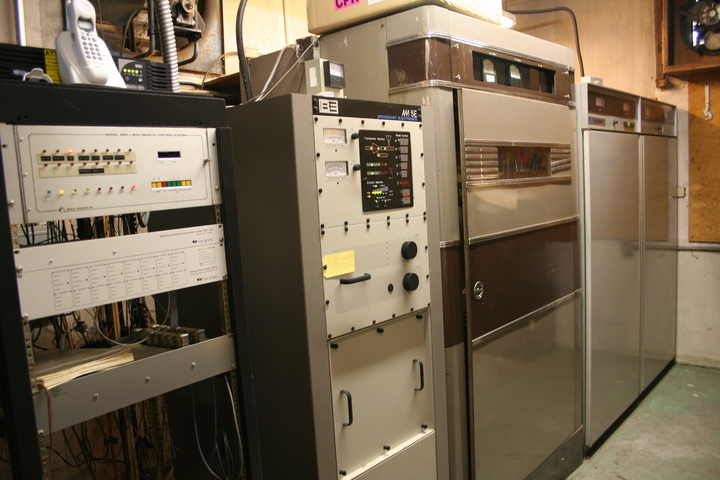 Seen here is WUNR's main transmitter, a BE AM-5E, an old Raytheon phasor, and the backup transmitter, a Harris MW-5.